There were so many honeymoon destinations to choose from so it was a tough decision! We finally chose one and a "thank you" goes out to all who had helped us do research on where to go for our romantic honeymoon! We are so excited to share our special day with you and even more excited about going to Santa Barbara, California for our romantic honeymoon (and destination wedding)! To our friends and family, we love you so much and we thank you for all you have done for us throughout the years. For those of you who will not be able to share our special day with us, we will keep you in our hearts! We both are truly grateful for each and every one of you! 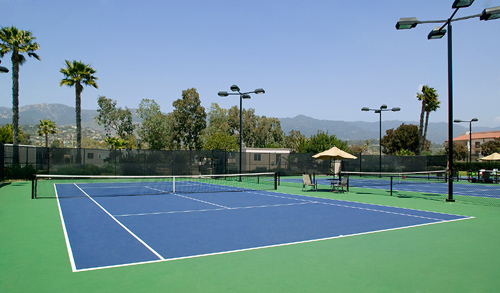 The Fess Parker – A DoubleTree by Hilton Resort provides the perfect place to enjoy the sport of tennis with 3 lighted oceanfront courts. Thanks to your thoughtful contribution, trained professionals will assist us in private lessons so we can enjoy a game or two on our own! We will give “love” a whole new definition! We will rent bikes on our honeymoon to discover what Santa Barbara has to offer in classic beach-style. We will enjoy Santa Barbara’s Waterfront by pedaling up or down scenic Cabrillo Boulevard on the smoothly paved bike path that follows the beach for five miles. Wheel Fun Rental offers single or double four-wheel surreys and has beach cruisers, mountain bikes, tandems, and three wheelers. We will indulge in the spacious newly renovated Ocean View Guestroom on our romantic honeymoon. Beautifully designed and newly renovated, this 450 square foot room offers us a mini-bar, a freshly baked DoubleTree Chocolate Chip Cookie for each of us upon arrival and complimentary turndown service upon request. Our soothing sanctuary boasts a king size bed with luscious linens and feather pillows or non-allergenic foam pillows upon request, double vanities in the bathroom with lavish amenities and a beautiful view of the sparkling Pacific Ocean from our furnished patio or balcony. 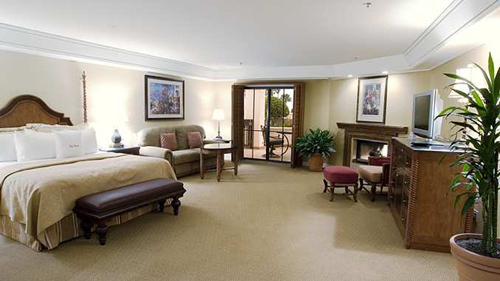 On our honeymoon we will enjoy a stay in the newly renovated Mountain View Guestroom. This spacious 450 square foot room is beautifully decorated and offers us a mini-bar, a freshly baked DoubleTree Chocolate Chip Cookie for each of us upon arrival and complimentary turndown service upon request. In our Mountain View Guestroom, we will indulge in the king size bed with luscious linens and feather pillows or non-allergenic foam pillows upon request, relax in the bathroom with double vanities and lavish amenities, and admire majestic views of the Santa Ynez Mountains from our furnished patio or balcony. With your lovely wedding gift, we will luxuriate in the comfort and charming settings of the newly renovated Junior/Studio Suite. This spacious 650 square foot suite features a wet bar, a plush seating area with a 42-inch flat-panel HDTV, Bose Stereo, a freshly baked DoubleTree Chocolate Chip Cookie for each of us upon arrival and complimentary turndown service upon request. Our romantic retreat boasts a Sweet Dreams by DoubleTree plush-top king size bed with lavish bedding and feather pillows or non-allergenic foam pillows upon request, a double deep, double wide tub with a double-headed shower, and a private balcony or patio with striking views of the beautifully manicured gardens. 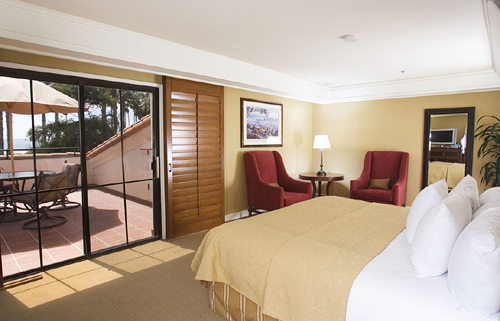 At The Fess Parker – A DoubleTree by Hilton Resort, we will enjoy the charming settings of the newly renovated Executive Suite. This beautifully designed, 650 square foot suite promises us a cozy fireplace, wet bar, a comfortable seating area with a 42-inch flat-panel HDTV, Bose Stereo, a dining area for 4, a freshly baked DoubleTree Chocolate Chip Cookie for each of us upon arrival and complimentary turndown service upon request. In the Executive Suite, we will indulge in a Sweet Dreams by DoubleTree plush-top king size bed with lavish bedding and feather pillows or non-allergenic foam pillows upon request, relax in the bathroom with a large shower, dual vanities, and a Jacuzzi bathtub for two, and enjoy the patio with breathtaking ocean views. 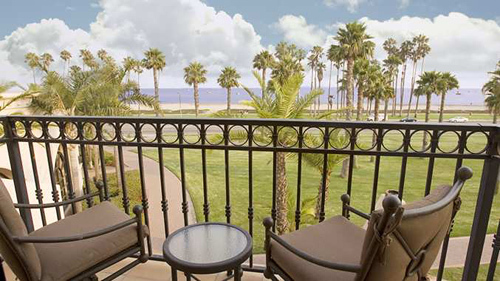 The Fess Parker – A DoubleTree by Hilton Resort promises us an unforgettable honeymoon stay! This beautifully designed, newly renovated 800 square foot suite boasts a wet bar, a cozy living room with a 42-inch flat-panel HDTV, Bose Stereo, a freshly baked DoubleTree Chocolate Chip Cookie for each of us upon arrival and complimentary turndown service upon request. In the separate bedroom, our Parlor Suite also includes a Sweet Dreams by DoubleTree plush-top king size bed with lavish bedding and feather pillows or non-allergenic foam pillows upon request, a bathroom with a large tiled shower and vanity, a Jacuzzi bathtub for two, and a patio or balcony off both the living room and the separate bedroom with magnificent ocean views. Our honeymoon at this beachfront resort ensures us an unforgettable stay with delightful amenities and luxurious comforts. The two-room, 1,100 square foot newly renovated Presidential Suite promises us a wet bar, a living area with a 42-inch flat-panel HDTV, Bose Stereo, a dining area large enough for up to 6 guests, a freshly baked DoubleTree Chocolate Chip Cookie for each of us upon arrival and complimentary turndown service upon request. This honeymoon haven includes a Sweet Dreams by DoubleTree plush-top king size bed with lavish bedding and feather pillows or non-allergenic foam pillows upon request, an over-sized bathroom with a double-headed shower, dual vanities, an extra large Jacuzzi bathtub, and a balcony with enchanting ocean views. On our romantic honeymoon in Santa Barbara, we will experience pure luxury with room service for a breakfast in bed, a private dinner or cocktails for two. 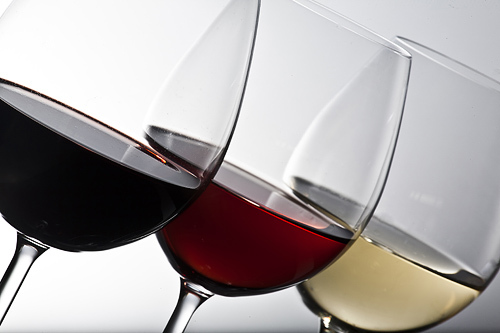 We will choose from a menu featuring appetizers, assorted salads, sandwiches, entrees with late night pizzas and local wines. In room dining will make our honeymoon that much more memorable from the comfort of our room or al fresco on our furnished patio or balcony! 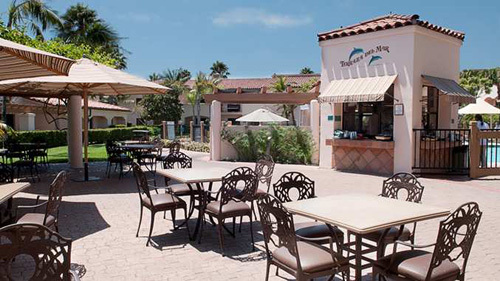 Java del Mar is a popular choice for a great selection of coffee and teas, as well as to-go snacks such as sandwiches, breakfast items and sweet treats. They proudly brew Starbucks coffee and they are located in the lobby near the concierge for convenience! 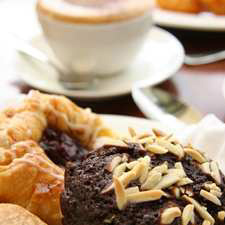 We can pick up breakfast or lunch goodies to enjoy while exploring Santa Barbara together. 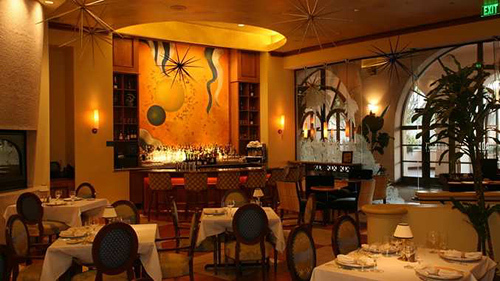 With your thoughtful wedding gift, we will indulge in exceptional cuisine at Rodney’s Grill. In the charming settings of this restaurant, we will enjoy a romantic meal by the fireplace featuring delicious all-natural steaks, locally sourced seafood, fabulous desserts, fine spirits and great local wines. 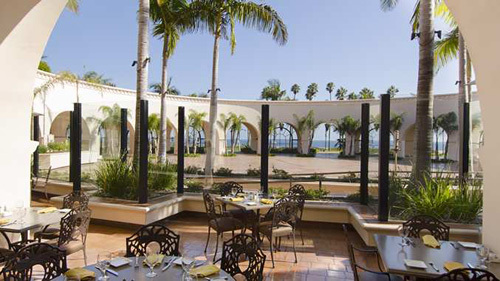 Our honeymoon at The Fess Parker – A DoubleTree by Hilton Resort promises us a casual and charming dining experience. Only open seasonally, Terraza del Mar Pool BBQ offers us the chance to relax poolside while enjoying a juicy burger, a delicious sandwich, or a variety of blended drinks from the full bar. On our honeymoon in Santa Barbara, we will indulge in a comfortable and casual dining experience. Located inside the main lobby, The Roundhouse is open daily for breakfast and lunch. We’ll enjoy either starting our day with the fabulous breakfast buffet or lunch on the seasonal outdoor patio to enhance our dining at this laid-back restaurant. The Set is a full-service bar perfectly suited for winding down after a long day of activities on our honeymoon. With one of the best ocean views in Santa Barbara, we will either relax indoors with a custom blended cocktail or cuddle up in front of the fire pits on the outdoor patio facing the Pacific. We will choose from a menu of tasty appetizers, assorted classic salads and sandwiches, specialty cocktails, beer and wine. 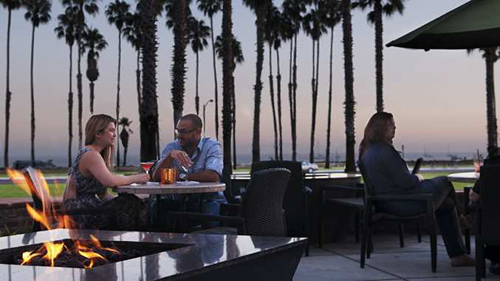 With your generous gift, we will experience a magical honeymoon at The Fess Parker – A DoubleTree by Hilton Resort in Santa Barbara, California! Located on one of Southern California’s most beautiful coastlines, this dramatic 24-acre, mission-style resort is just half a mile from downtown and faces beautiful East Beach. 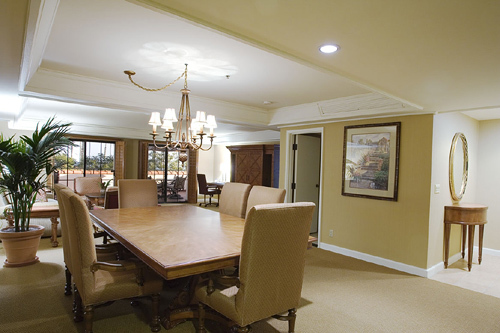 We will indulge in delicious cuisine, take delight in an array of lavish amenities or rejuvenate at the Spa del Mar. 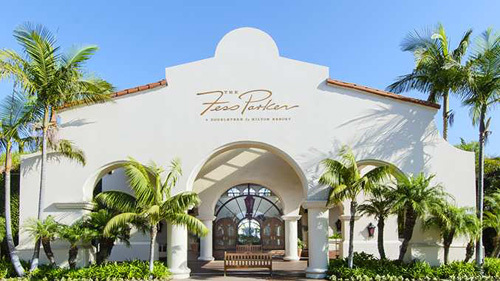 At The Fess Parker – A DoubleTree by Hilton Resort, our honeymoon will be everything we’ve ever dreamed of! 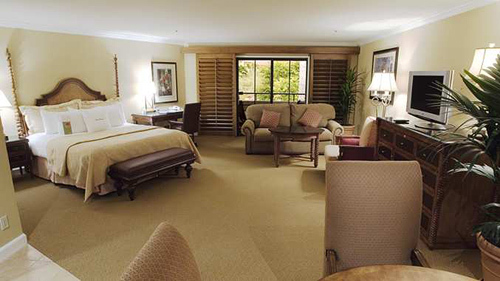 We will stay at The Fess Parker – A DoubleTree by Hilton Resort on our honeymoon! 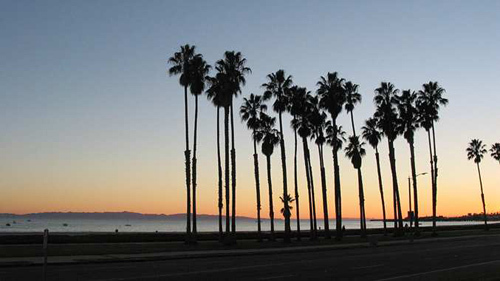 Our beachfront resort is located in Santa Barbara, California, just steps away from downtown and right across from beautiful East Beach. We will luxuriate in spacious accommodations, take delight in spectacular cuisine, relax by the Olympic-sized outdoor pool and whirlpool, work out in the fitness center, enjoy a game of tennis or rejuvenate at Spa del Mar. Or maybe we’ll just hang the Do Not Disturb sign on our door and enjoy our beautiful balcony or patio. On our romantic honeymoon, we will discover luxury at its finest! A chilled bottle of champagne will be delivered to our room or suite. We will make a toast to our romantic honeymoon in Santa Barbara while taking in the sweeping views of the majestic Santa Ynez Mountains, the magnificent resort gardens or the sparkling Pacific Ocean from our balcony. How romantic! A bottle of Fess Parker wine will be delivered to our room or suite. 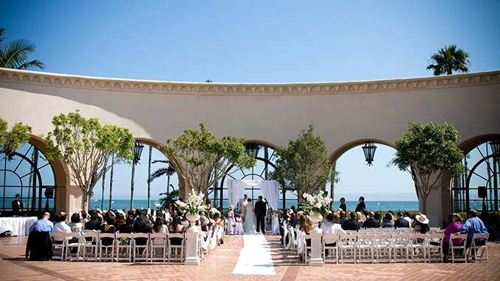 We will make a toast to our honeymoon while taking in the enchanted views of Santa Barbara’s natural surroundings. We will discover romance at its best! In the tranquil settings of Spa del Mar, I will receive this invigorating massage treatment utilizing heated stones and essential oils. The Sea Rock Therapy Massage is a full body treatment that will promote deep relaxation and leave my body balanced. At The Fess Parker – A DoubleTree by Hilton Resort I will take delight in the Lemon Drop Martini Massage. In the serenity of the spa, I will receive a fully body massage including a lemon-sugar foot scrub and an invigorating vanilla-lemon scalp treatment. Next, I will celebrate my experience while relaxing with a complimentary martini in the ocean view bar The Set. The Swedish Massage is a wonderful wedding gift for my romantic Santa Barbara honeymoon. A professional team of massage therapists will create a customized Swedish Massage just for me. It will reduce stress and promote balance, mental clarity and relaxation. On my honeymoon, I will enjoy the Classic European Facial. In the tranquility of Spa del Mar, I will receive a steam, deep pore cleansing, mask and a hand and foot massage. This refreshing facial will also be customized for my specific skin care needs. An Egyptian formula of crushed almonds, milk, honey, and nourishing oils will be used to exfoliate my skin and leave it glowing. I will be wrapped in a warm cocoon while the blend nourishes and hydrates my skin. Next, I will enjoy a mini-facial and a scalp and foot massage. After a soothing rinse, my stress will melt away with a full body hydrating nutmeg lotion massage. At this beachfront Santa Barbara resort, I will indulge in the Lavender Bliss body treatment and discover a world of peace and calm! My treatment will begin with a full body brushing. Next, I will feel my body melt with the signature Lavender Mud application. 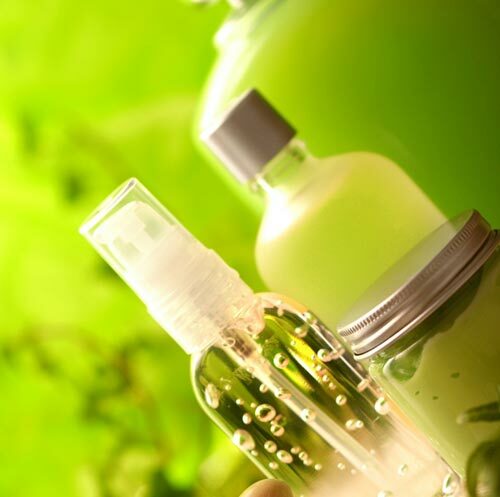 The algae, mud and essential oils will penetrate the skin, inducing detoxification and relaxation. I will then indulge in a neck, face and scalp massage, followed by a refreshing rinse and a full body lavender lotion massage including steamed towels and aromatherapy. With your lovely wedding gift, I will take delight in a sweet treat! I will indulge in the luxurious chocolate sugar scrub that will leave my skin feeling incredibly soft and radiantly glowing. After a refreshing rinse, I will feel the tension and stress melt away while receiving a full body massage using a signature chocolate crème lotion. I will take delight in the Channel Islands Indulgence on my honeymoon at The Fess Parker – A DoubleTree by Hilton Resort. In the serenity of Spa del Mar, I will experience the invigorating Ginger Lime Kiwi Seed full body exfoliation, leaving me feeling refreshed and glowing. Next, I will enjoy a decadent Ginger Lime Body Butter Massage including aromatherapy and a scalp and foot reflexology. Rejuvenating and refreshing, this will be an amazing tropical spa experience! My wedding day will be enhanced with the Head to Toe full body spa treatment. 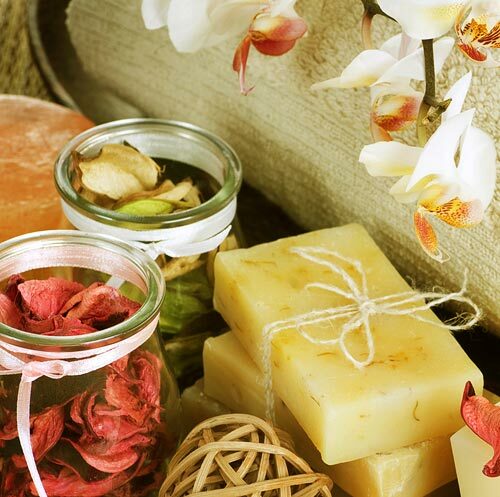 This combination of services and products will promote complete relaxation and well being. I will feel my stress melt away with a scalp treatment and neck and shoulder massage. Next, my hands and feet will be thoroughly exfoliated followed by hand and feet reflexology and a therapeutic massage. On my honeymoon in Santa Barbara, I will be pampered while my nails are nourished with an Essential Manicure. I will receive nail and cuticle maintenance and an application of my favorite nail polish. Salon del Mar promises me an indulgent pedicure in the serenity of the salon. I will receive a gentle foot exfoliation, followed by cuticle maintenance and an application of my favorite nail polish. 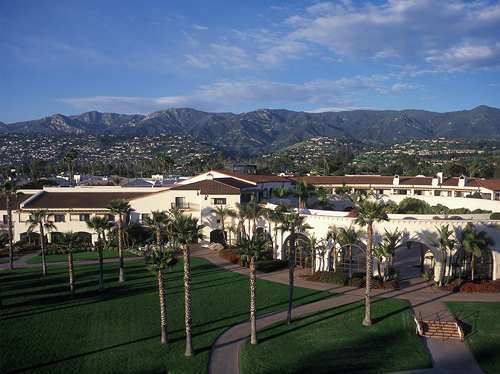 We will celebrate the greatest day of our lives at The Fess Parker – A DoubleTree by Hilton Resort! With your generous wedding gift, we will experience a private and intimate wedding ceremony while our family and friends gather to witness our beloved day. Our on-site wedding coordinator will take care of every single detail for our big day from our ceremony to the reception and all guest arrangements. Whether we are planning an elegant event or an intimate wedding, The Fess Parker – A DoubleTree by Hilton Resort will ensure that our day is pure perfection!